BRING YOUR ACE GAME – The Quick Draw lens change system puts the midsized Ace at the top of the deck. 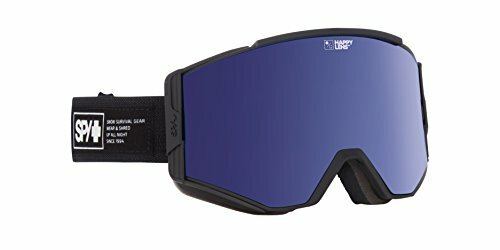 Experience some of the best goggles you’ve ever put on your face – both in style and function – with the SPY Ace goggles. Due to their medium/large size they fit most face shapes and work with most of the most popular helmets on the planet – including yours. The all-new Quick Draw lens change system puts the midsize Ace at the top of the deck. In volatile conditions, easily slot the free bonus lens into place and quickly return to action without losing to Mother Nature’s wicked ways.